Welcome to Day 3 of our Gloaming hop! 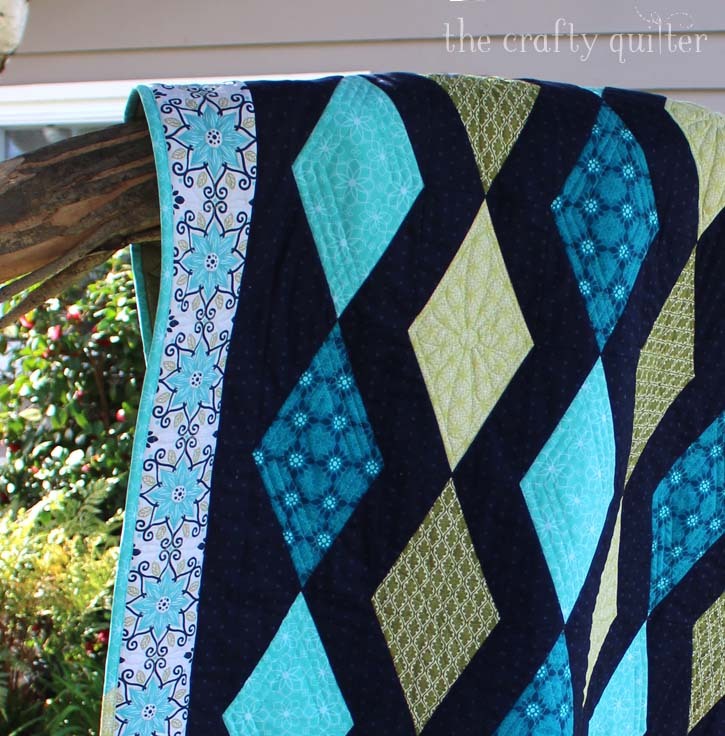 This week is filled with plenty of quilty inspiration using Shelley's Gloaming collection--we hope you enjoy it! Hi everyone! My name is Julie and I blog over at The Crafty Quilter. I have been a fan of Shelley’s for a long time, and I was thrilled to be asked to make a project using her new fabric line, Gloaming. I LOVE the rich color palette and the floral elements of this collection. 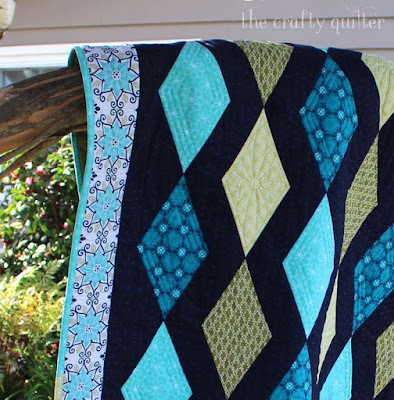 I wanted to use a large block in my quilt that would showcase the fabric well, so I chose a simple diamond pattern. It’s very striking and dramatic with the dark blue background setting the stage for the other fabrics to shine. This quilt was easy to put together, and I love how it turned out! It isn't every quilter that can proudly say, "My daughter designed that fabric line!" I couldn't wait to get my hands on the Gloaming scraps from Shelley's studio to make these ornaments as a Christmas gift for her, commemorating her first fabric line. Make sure to stop by tomorrow, when Shelley shares her quilts! Love the quilt and the ornaments. Beautiful fabrics to make these ornaments. What a great idea, proud Mama! Awesome ornaments and fabrics! Congratulations on your daughters fabric line, it's beautiful!! So beautiful ornaments and fabaric-Congratulations! !